Air BP’s Technical Services has been given its own identity and a set of tools to explain the offer and the benefits. 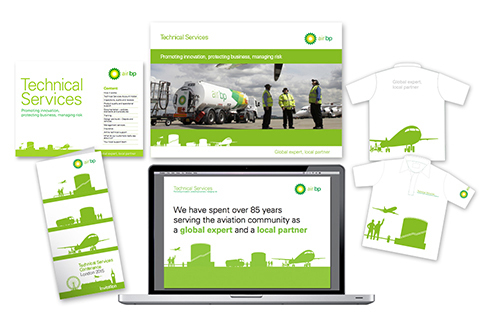 We were asked to help communicate the value of Air BP‘s Technical Services globally, to their varying customer types eg. airports, airlines, joint ventures, oil companies. Firstly the naming and branding of the group of services with a set of accompanying illustrations to visualise the areas within the supply chain that Technical Services cover. To communicate the Technical Services elements we created an engaging PowerPoint presentation which included an animated ‘build up’ of the new brand illustrated elements. We also created an animated presentation to clearly outline the offer. Multiple Technical Services case studies have been collated and branded to form a valuable resource library which can be used across all kinds of communication material. © Beach Design Limited 2017. All rights reserved.